Mold is a health hazard that should never be allowed to grow in a building where people live. While there is not definitive evidence that mold presents a serious health risk to humans, people living in a mold infested home often experience respiratory and allergy problems. In addition to residences, schools and businesses should also be mold free to prevent possible health risks to people who spend their days in these buildings. While a musty, disagreeable odor does indicate the presence of mold, the fungus can sometimes be found in spaces that are hidden and not noticed. In addition to potential health risks, mold can be very destructive to property as it causes rot and deterioration to the internal wooden structure of a building. The most common areas that mold is found within a building includes basements, crawl spaces, around the windows, inside walls, behind lower walls and under sinks. If the home has ever been flooded due to an internal leak or a flood, it is essential that the homeowner or a professional service follow up with a complete mold removal process. 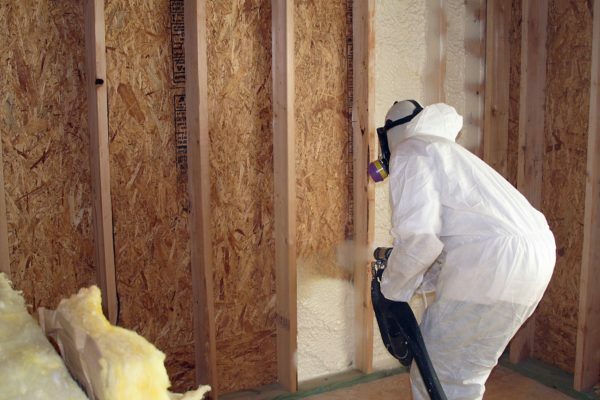 All water soaked materials such as drywall, carpets and any cellulose materials should be removed and replaced once the area has been completely dried out. Bathrooms and basements are especially susceptible to mold infestations since these areas can remain damp long enough for mold spores to multiply and spread. If there is not adequate ventilation in a bathroom, the homeowner should consider installing an effective venting system to remove all moisture. If mold continues to be a problem in the bathroom, a mold resistant paint can help to prevent mildew and mold growth. This paint can also be used on basement walls and floors since basements are probably the most likely areas where mold develops. Mold can also be found in attic spaces if the space has not been properly insulated and vented. While attic mold does not cause air quality issues within the home, it can result in damage to the wooden structures within the space. The first step is to identify the source of attic moisture and take steps to correct the problem. All the mold should then be removed and any damaged structures replaced. Anyone concerned with mold growth in their home should contact a professional mold remediation service. Proper removal and treatment is necessary to ensure their home is mold free and a healthy environment for humans.